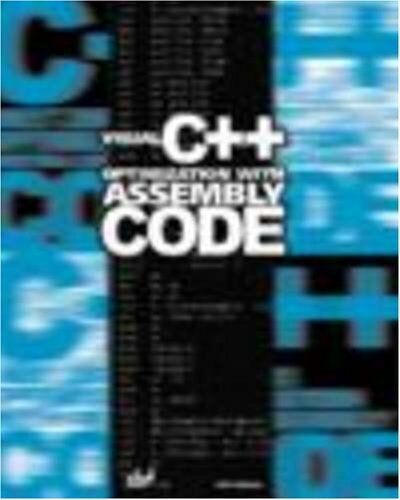 [PDF] Visual C Optimization with Assembly Code | Free eBooks Download - EBOOKEE! Description: Describing how the Assembly language can be used to develop highly effective C++ applications, this guide covers the development of 32-bit applications for Windows. Areas of focus include optimizing high-level logical structures, creating effective mathematical algorithms, and working with strings and arrays. Code optimization is considered for the Intel platform, taking into account features of the latest models of Intel Pentium processors and how using Assembly code in C++ applications can improve application processing. The use of an assembler to optimize C++ applications is examined in two ways, by developing and compiling Assembly modules that can be linked with the main program written in C++ and using the built-in assembler. No comments for "[PDF] Visual C Optimization with Assembly Code".